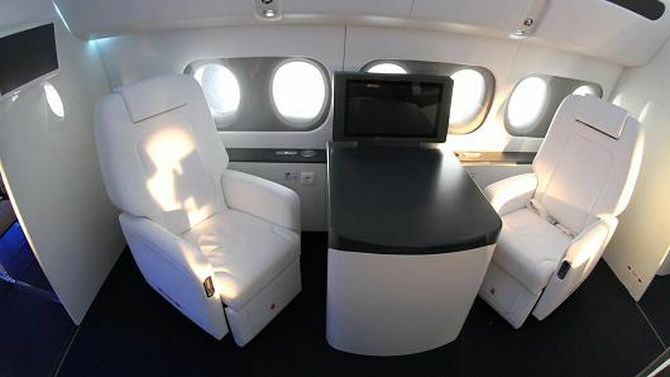 At Farnborough air show, Russian plane maker Sukhoi has recently unveiled the world’s first private jet for sports teams. This latest high-tech SportJet concept is based on SSJ100 aircraft and comes equipped with diagnostic booths, exercise equipment and wearable tech. 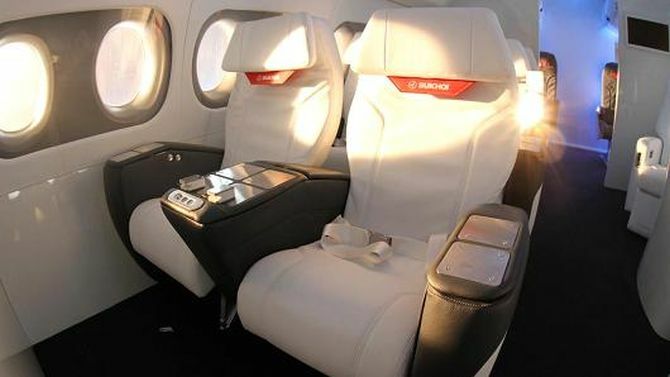 The 100-seater plane has been divided into four zones each with different functional equipment for sports teams. Key features of the SportJet are massage table, coach zone, smart toilet and diagnostic capsule. The massage table is specially designed for athletes for the treatment of sports injuries. Coach zone incorporates chairs, one table, one wardrobe and couch for teams to discuss their game strategies. Even tablets (installed with specialist software) are present in this section to analyze a player’s performance. The smart toilet is equipped with sensors in the toilet seat to measure hydration levels of a person. 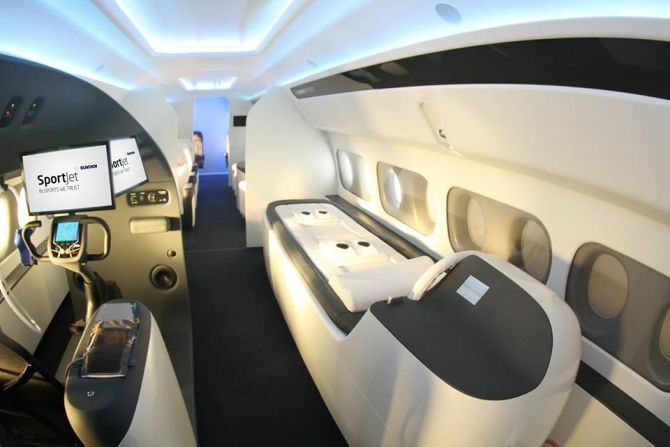 Business class seats on the plane are integrated with sensors to detect physiological changes in athletes. There are few wearable techs in the plane to keep tab on an athlete’s condition. Furthermore, the collected data is sent onto a mobile phone app that suggests them how to improve their hydration level and sleeping pattern. Diagnostics capsule is to aware athletes about their physiological readings and it also helps them to deal with pressure of a game. 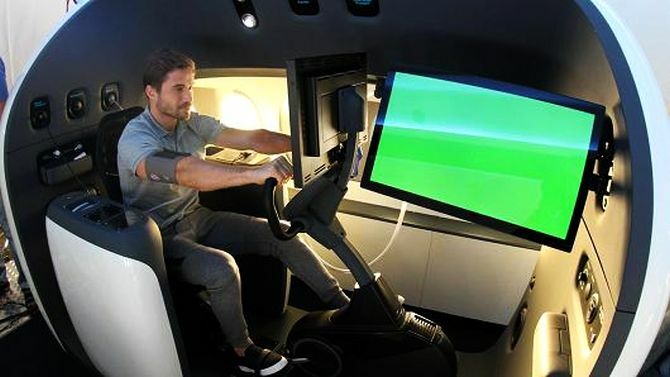 Plus, a curved 4K resolution screen is installed in the private jet to view media content. This stunning 12-meter full-scale cross section of the jet will be displayed at the Rio 2016 Olympics later this year. Sukhoi hopes that this public display will help them secure more orders for their $600 million SportJet. The world’s first private jet for sport teams will further go into production in 2017 and customers can expect the deliveries in 2018.